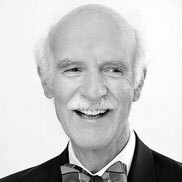 Anton Mosimann was born in Solothurn in 1947 and grew up in Nidau near Biel in Switzerland. He is generally considered to be the most famous Swiss chef working abroad. He has been running the exclusive Mosimann’s Dining Club in London’s Belgravia district since 1988.